As South Mumbai has become less and less affordable, Mumbaikars have been pushed ever northward. The suburbs of Mumbai- areas such as Andheri and Bandra- are dense neighborhoods teeming with activity and packed with housing of many varieties. Large-scale commercial developments, such as Bandra Kurla Complex (or “BKC”), and Santacruz Electronic Export Processing Zone (or “SEEPZ”), are a feature of the once-relatively sparsely populated and undesirable parts of the city north of the Mithi River. Sitting on the south bank of the Mithi River, directly across from BKC, Dharavi is now at the centre of Mumbai’s new residential and commercial core. 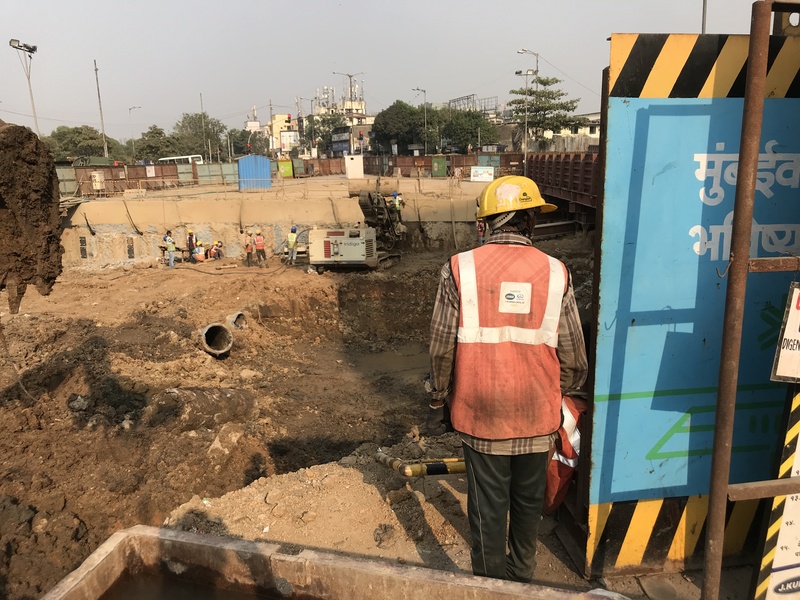 As a part of a large series of projects to build Western-style infrastructure in Mumbai, a new metro system is under construction. Line Three will stop in Dharavi. Mumbai’s Metro Line Three will run just over thirty kilometers from Colaba’s Cuffe Parade to SEEPZ in Andheri East. Providing fully-underground, air conditioned service and new rolling stock, this upcoming transit line may provide an enticing alternative to Mumbai’s crowded local trains. Additionally, Line Three will directly serve some areas that have not been so well-connected with the rest of Mumbai. However, much of Line Three’s route will mirror that which is already traversed by local trains. Fares will likely be much higher than on local trains, as is the case on the operational Metro Line One, where fares are sometimes three times higher. As such, Line Three itself could be out of the price range of millions of Mumbaikars. Residents of homegrown neighborhoods, who make up the plurality of Mumbai’s population, will be affected by the new metro system. As a part of our ongoing project to study the new Mumbai metro system and its direct and indirect effects on residents of homegrown neighborhoods, we conducted interviews in Asalpha, a typologically-similar area near Mumbai’s airport which is already served by a metro line (Networked and Unaffordable). We then discussed answers given by respondents in Asalpha with residents of Dharavi in a focus group near Dharavi’s metro station. 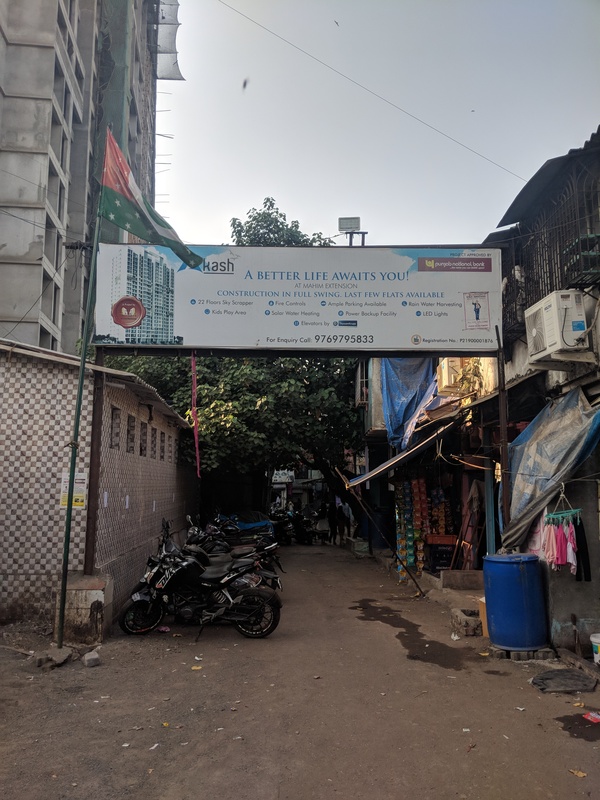 There does, however, exist at least one critical difference between the connectivity of Dharavi and Asalpha to the rest of Mumbai. Dharavi is already served by several local train stations, whereas Asalpha is situated at least two kilometers from the nearest local train station. 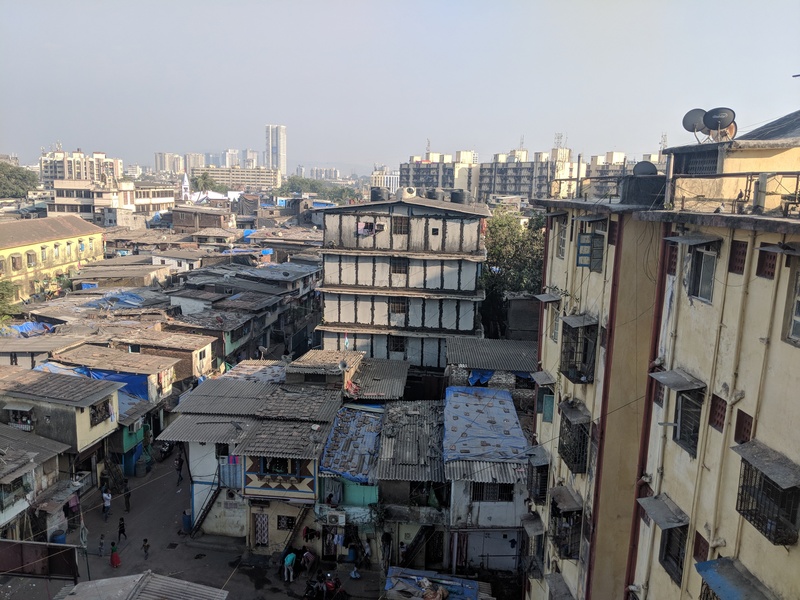 Participants in the focus group were primarily residents of a temporary apartment building within a few hundred meters of Dharavi’s upcoming metro station. Residents originally lived in hutments close to the temporary structure, and are waiting for a large new development in which they will be rehoused to be completed. Shafik Kothariya, a lifelong resident of Dharavi, expressed some concerns that the metro will not benefit residents of Dharavi in the short-term. According to Kothariya, most people he knows in Dharavi work and live within the neighborhood. He plans on using the metro for recreation, rather than employment purposes. Shafik expressed hope that the metro system will provide opportunities for his children and other young people in Dharavi, as it will grant them access to areas of Mumbai that were previously difficult or time-consuming to reach. Akhilan, another lifelong resident of Dharavi, has noticed an increased interest from developers in Dharavi. Additionally, he has heard outsiders expressing interest in moving to the neighborhood due to its relatively central location and increasing connectivity to the rest of Mumbai. This mirrors responses given in Asalpha and indicates a changing perception of certain specific homegrown neighborhoods among Mumbaikars. Convenience, it seems, reigns supreme and can squash many preconceived notions about a given place.